Guernsey and the other Channel Islands lived for hundreds of years right on the front line of conflict between Britain and France. Islanders had to train and be ready to fight to defend their homes at a moments notice. To do this a Guernsey Militia was formed. In Part I of this article we track it’s illustrious history from Genesis to the end of the Ancien Régime in France when a whole new set of threats were to face the freedoms of the Guernseyman. In Part II of the Guernsey Militia Story we track its history from post revolutionary France in the late 18th Century up to the end of the Militia in the mid-20th Century. It is believed that as early as the 9th century the land owners of the Island were required to provide military service in the times of threat or conflict. The Island Militia was formalised in the 13th Century when a dedicated part of the revenue of the Island was directed to equip the Militia. During his reign King Henry III(1216-1272) ordered that the Militia be equipped with bows and arrows from the Tower of London. Records reveal that in 1331 the Guernsey Militia were armed with pikes and cross-bows. Service in peace-time had been dispensed with. However the men were still required to turn out for training and exercises. Throughout the 14th Century and into the 15th a series of conflicts popularly known as the 100 Year War (1337-1453) raged over the royal throne of France. The protagonists were the House of Valois in France and the House of Plantagenists in England. The King of France, Charles V, retook huge portions of land in France previously held by the English as well as launching numerous successful attacks on villages along the English coast. This formed the backdrop for the insecurity that plagued the Islands during this time. Guernsey suffered a number of attacks and invasions at the hands of the French. In this year Charles V, the King of France, sent a force of some 800 men in a flotilla of sailing ships and barges to attack the Island. The force was led by Owen of Wales. They were met by Sir Edmund Rous with a hurriedly assembled force of around 800 men comprising his own soldiers and men from the Guernsey Militia. A pitch battle was fought which resulted in some 400 English and Guernsey men being killed and the Island falling to the powerful French force. Sir Edmund and the survivors were forced to retreat into Castle Cornet where they were besieged for some considerable time. The Island was left without defence and the French forces were free to plunder wherever they chose. Before Castle Cornet could be taken, however, the French king recalled his force from the Island. 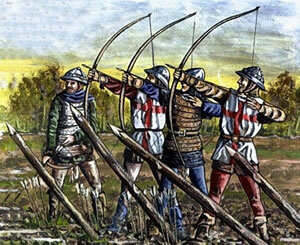 In 1549 Militiamen were armed with bows as well as early muskets (Harquebuttes). The Captains of the various militia Companies had to ensure that all weapons and equipment were in good order. They were also responsible for the constriction and maintenance of defensive walls (boulvars) at various places around the island and had to ensure that powder and shot were always ready. Having invaded France in 1513 the English had defeated a French army at the Battle of the Spurs. However the war and unrest between the two countries continued into the reign of Henry’s son, King Edward VI – with obvious ramifications for the channel Islands. A French attack on the English held port of Boulogne in August 1549 must have caused much unrest in the Islands. In 1569 Queen Elizabeth granted the island several artillery pieces together with cannon balls, powder and implements. These were specifically for the defence of guernsey and were supplied by the Tower of London. 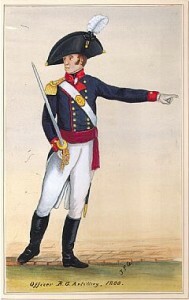 Throughout this century the threat of attack by the French remained as a constant spectre and the Militia was maintained in readiness to repel any such invasion. 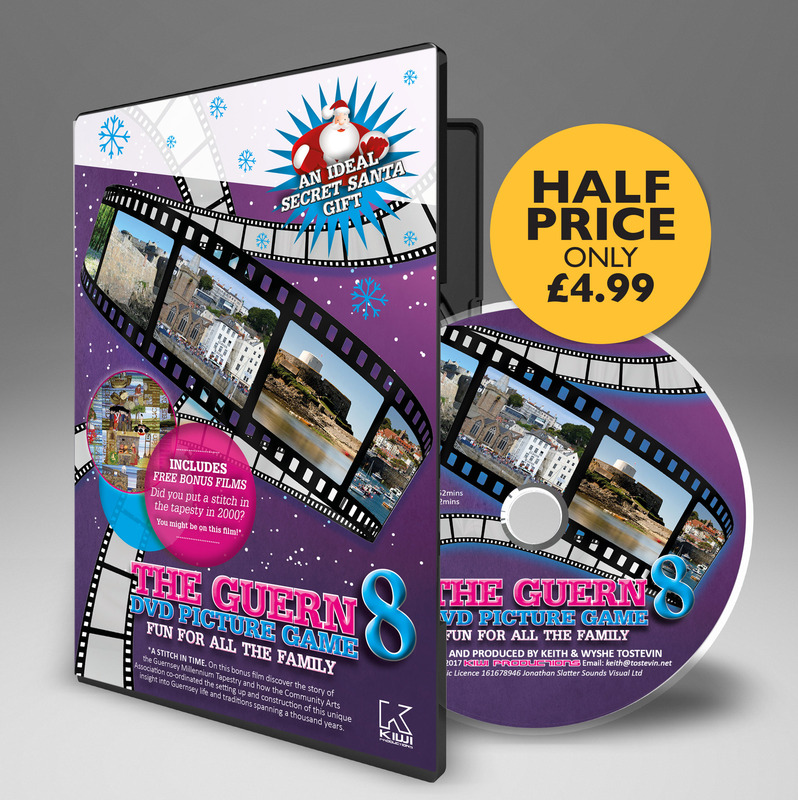 The above figures are incredible when you consider that the total population of Guernsey was likely to be around 10,000 people , or possibly less. In 1621 Sir Peter Osbourne was appointed the military Governor of Guernsey by King Charles I of England. Six years later he brought a force of 200 English soldiers to Guernsey as there was a fear of an invasion by the French. When the English Civil War broke out in 1641 Guernsey declared for Parliament. Osbourne, being Royalist by deafault, was forced to take refuge in Castle Cornet with his soldiers and supporters. There then began almost 10 years stand-off between the Castle and the Island during which time cannon and musket fire was regularly exchanged. Island forces, comprising English Parliamentarian soldiers and Island Militia, fortified the St Peter Port water format. The defensive batteries around St. Peter Port that were originally built to protect the Island from French Invasion now directed their fire at Castle Cornet. In return the Castle’s guns battered the buildings of St. Peter Port. Both sides suffered considerable damage. To this day archaeological excavations in the basements of water front properties regularly dissever musket and cannon balls which had been fired from the Castle. A number of assaults were made on the Castle by Parliamentarian and Militia forces during this period. None were successful. One of the last was launched in 1651 and ended with the capture, wounding or eat of over 200 Parliamentarian soldiers. By 1680 the numbers of men in the Guernsey Militia had increased significantly in response to the threat from France. Commissioned by King Charles II in 1679, the Legge Report was drawn up in 1680 and as part of a review on the fortifications of the Island. The report was commissioned for Colonel Legge. Again the above return is incredible in an island with a population at that time of less than 10,000. The 13 companies were formed into to one body, commanded by the Governor of the Island or his Lieutenant. In 1682 it is recorded that the cannons in the batteries in each parish were manned by Invalids. These were Militiamen who were unable to carry out all the duties expected of them due to physical disability or illness. These men were often allocated positions in static gun batteries as this eliminated the need to undertake marching, drilling and other strenuous exercise. By the 18th Century English Regiments were almost continually garrisoned on Guernsey. Although the regiments were always referred to as ‘English’ even when made up of Irish, Scots or Welsh troops. The Militia trained and exercised regularly in order to support the English garrison and would be called upon to provide a military presence when these regulars were sent elsewhere. Fortifications on the island could be manned exclusively by Militia men in times of high threat. Between 1726 and 1730 the Militia was re-organised into three regiments – 1st (East or Town), 2nd (North) and 3rd (South). By 1744 the Militia had 1000 muskets at their disposal which were stored in Castle Cornet. A Troop of Horse had been created by 1750 and joined the Militia Infantry regiments. This was later converted to a company of light dragoons. In July 1756 two permanent companies of Militia Artillery were created. The men for these were selected from the infantry regiments and they became gunners in the forts and batteries. The Seven Years War began in 1756 which again exposed the Channel Islands to attack by the French The captains of the Militia Artillery companies drilled their men every Sunday in the use of the big coastal defence guns. The guns nearest to the harbour pier-heads in St Peter Port were kept loaded with powder at all times so that alarm signals could be fired immediately should French ships be sighted. Whereas the Commander-in-Chief of this island hath received a letter from the Lieutenant-Governor Strahan, that a declaration of war by the French is expected every moment in London, the island of Guernsey is therefore desired to be upon its guard. As a watch will become more necessary in the night-time than in the day, it is the commandant’s orders that a corporal and four privates of the Militia do parade at the several watch-houses at 5 o’clock, p.m., and come off at 7 o’clock a.m. till the 1st of April ensuing viz. ; at Jerbourg, Sommeilleuse, the Vale and the Rocque du Guet, etc. The whole Militia to hold themselves ready to turn out at a moments notice. After a French attack on Jersey in May 1779 Guernsey went into a state of high alert. Two days later when a large fleet was sited off the north coast of Guernsey the alarm was raised and the Militia called out en-masse. The Town Regiment assembled and had nearly reached the Vale Church when the fleet was identified as being English and the men were stood-down. In 1780 the Militia Artillery companies, which had been manning the coastal batteries, were formed into a single regiment of mobile field artillery. The static guns in the various forts and coastal batteries around the Island were now to be manned by a separate group of men taken from the infantry regiments These men became known as the Battery men. This further expansion of the militia wasn’t a moment to soon as on 5th January 1781 Jersey was again attacked by the French. The news prompted huge unrest in Guernsey. Receiving word the following day Lieutenant Governor Irving immediately declared martial-law. Just a few short years later in 1789 France the old Royalist regime would be swept away to be replaced by revolution and bloody terror. The new regime would be an anathema not only to Great Britain but much of the other states of Europe. Guernseys place in the front line between these two worlds was about to become hotter and would require ever more men and resources if Guernsey was to remain free. During the subsequent French Revolutionary (1793 – 1802) and Napoleonic (1803 – 1815) Wars the Militia were going to be worked very hard indeed. That is the subject of Part II in our short history of the Guernsey Militia.